A GRAMMY-nominated “crystalline tenor” (Backstage) who was praised by the New York Times as “a tenor with a focused, powerful tone“ who sings with “subtlety” and “poignancy“, Stephen Sands is highly sought after as a soloist, conductor, music educator and ensemble member by some of the most prestigious institutions and conductors in the United States. Mr. Sands holds his Bachelors and Masters degrees from Westminster Choir College. Stephen is the conductor of Downtown Voices, part of the Trinity Wall Street music program which is in its fourth season. Downtown Voices is focused on bringing the best volunteer and professional singers in the NYC area together into one choir for high-level performances. Of his conducting in Britten’s St. Nicholas, The New York Times said “In the sequences in which the adult choir sang at the front of the church, with the children’s choir in the organ loft, the conductor Stephen Sands beautifully balanced the sound and maintained order. The singers and instrumentalists had incisive, agile strength.” The 2015-2106 season featured performances of Britten’s St. Nicolas, MacMillian’s Seven Last Words from the Cross and Beethoven’s Missa Solemnis and Symphony Number 9. The 2016-2017 season featured a major commissioned work, Spire and Shadow, by Zachary Wadsworth, which examines the rich history of downtown New York City and celebrates the 250th anniversary of St. Paul’s Chapel. Stephen also conducted Handel’s Israel in Egypt with the Trinity Baroque Orchestra and prepared the choir for Philip Glass’ Symphony Number 5. 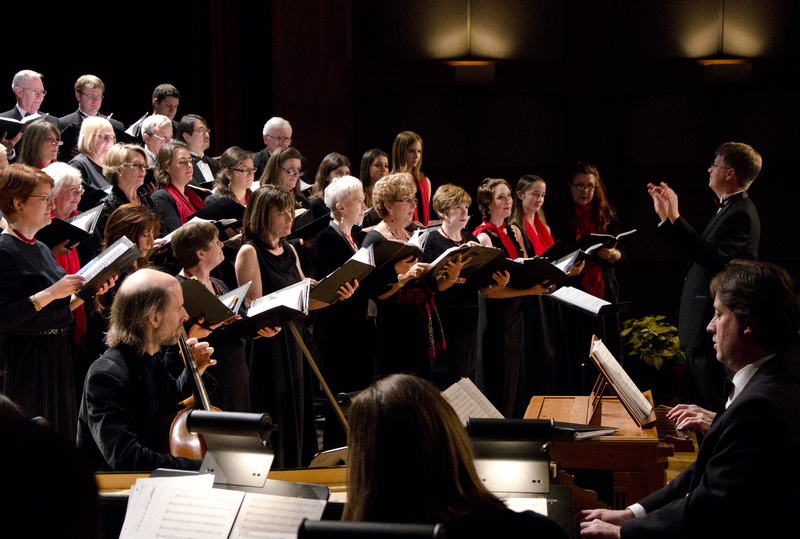 The 2017-2018 season featured Rachmaninoff’s All-Night Vigil, a grand Candlelight Christmas service and a concert of the beautiful Martin Mass and Howells Requiem. The 2018-2019 season will feature a concert of Estonian choral music and Orff’s Carmina Burana. Stephen is a founding member and Executive Director of the internationally award-winning Antioch Chamber Ensemble, widely regarded as one of the finest professional vocal ensembles in the country. He has had the pleasure of coordinating international performing tours, producing commercial recordings, and staging many self-funded performances. Stephen has recently coordinated and participated in residencies and masterclasses with Antioch at Harvard University, Washington and Lee University and Vassar College. Antioch is currently producing a CD of works by legendary choral composer Robert Kyr. As an Artistic Director, Stephen has successfully founded and raised funds from both individual and institutional sources for Music in the Somerset Hills, an organization dedicated to music education and performance in northern New Jersey. In 2016, Stephen led a concert of Music of the Movies, featuring actor Peter Dinklage and a professional orchestra of Broadway players, led by Jonathan Dinklage. In 2016-2017, Stephen led the Somerset Hills Community Chorus in a concert of Mozart’s Requiem and conducted a concert of Handel’s Water Music on Ravine Lake in Far Hills, NJ. The 2017-2018 season has featured The Glenn Miller Orchestra and Canadian Brass. The 2018-2019 season will feature a concert of works by Leonard Bernstein, The King’s Singers in concert and an outdoor concert celebrating the 75th anniversary of Copland’s Appalachian Spring, which was composed in the Somerset Hills. In addition to a successful career as a musician and conductor, Stephen is also a respected music educator. He has taught choral music to thousands of students in grades 3-12 in the Somerset Hills School District for 21 years. Stephen has been heard as the Evangelist and tenor soloist in numerous performances of Bach’s sacred oratorios, recently with the Trinity Choir and Baroque Orchestra in the St. John Passion of J.S. Bach. As an ensemble member, Stephen sings with the Carmel Bach Festival Chorale, Vox Vocal Ensemble, Aoede Consort, TENET, Clarion Music Society, Pomerium, and is a full-time member of the Choir of Trinity Wall Street under the direction of Julian Wachner. Optional: How did you discover this website?